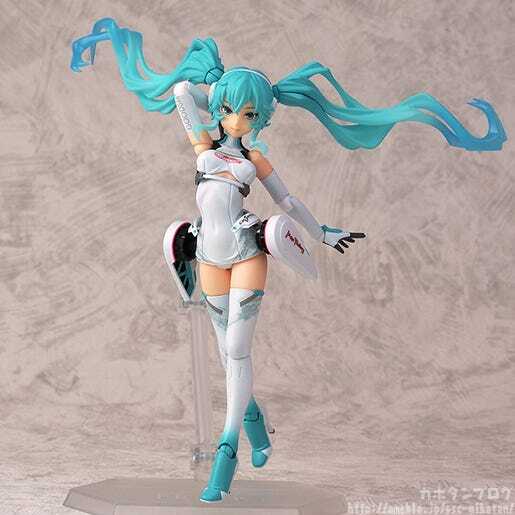 Kahotan's Blog | GOOD SMILE COMPANY Figure Reviews | 1/8th Scale Racing Miku 2014 Ver. GOODSMILE RACING & TeamUKYO is currently taking part in the GT300 class races of Japan’s top motor racing series the ‘SUPER GT’ under the banner of the ‘Hatsune Miku GT Project’. The mascot character for the project is none other than Racing Miku, who is back again in 1/8th scale, this time dressed up in her new outfit for 2014! This season’s Racing Miku was illustrated by the up-and-coming illustrator Oguchi with design direction by Shigeto Koyama, famous for his work in various anime series! The two of them have come together to create a design that fans have come to love, which has now become a scale figure for fans to add to their collection! The goddess of the racing circuit is back again as a scale figure this year! The unique posing with lovely twisted hips and her confident expression are beautiful, and the mechanical looking parts on her sides are also sculpted spectacularly! Starting with a look from the back! The balance of her twisted upper body is magical! This angle also gives you a nice look at her shapely thighs and cute little bottom! But perhaps the most important thing to look at here are her twintails!! Miku is best known for her long twintails, and this year’s Racing Miku illustration has them soaring up behind her in a beautiful scene! Using nothing but the main illustration which was a head-on view of Miku, figuring out how and where the hair was moving for the figure must have been rather difficult! I decided to speak to the man behind the sculpting to find out more! Q: How did you figure out how to sculpt this twisty turny hair? Kelal-san has body proportions very similar to Racing Miku which made her the perfect model to test out how the body would react in certain poses and get a more realistic looking sculpt! She also danced to ‘Seikan Hikou’ during the photography session! Q： Are there any areas of the figure you’d like to point out? A: The sculpt of the hair is definitely my personal highlight… but the mechanical parts at her hips are also really awesome! These were made by Matsuzawa-san from the 3D team! Do you see what I’m talking about?! Another thing I want to point out, is that even though most of her skin is covered up… you can still make out her body’s curves perfectly through the outfit! You can even make out where her belly button is!! From the curves modelled off a real model, the soft looking appearance of her skin at the thighs… Racing Miku may be a fictional character but the realism that comes out of the sculpt and paintwork really makes me fell that she is here with me, more real than anyone else!! She is really a work of art! By the way, today’s photos were taken by sunlight! It definitely gives a slightly different feeling to photos taken under normal lights! 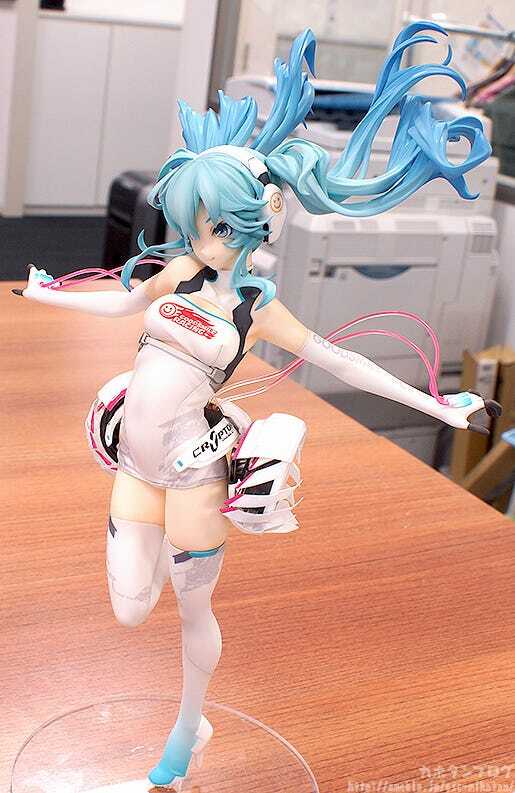 figma Racing Miku 2014 ver is currently available to all those who apply to be sponsors for the GSR racing team! See the GOODSMILE RACING GLOBAL PROMOTION BLOG for news and info about the GSR team! 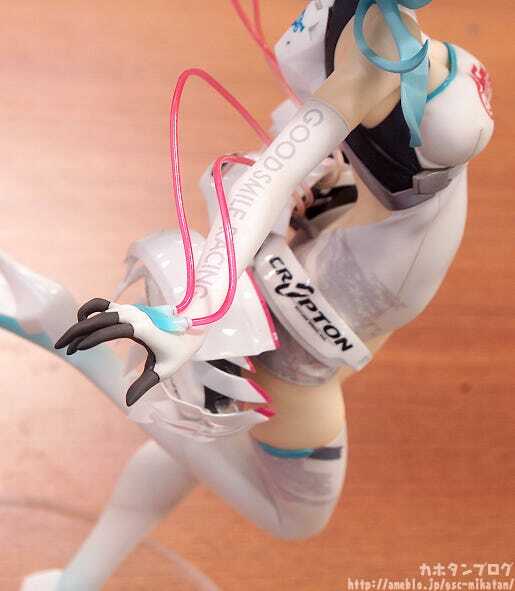 There are also photos of the figma over on the blog here: Once Again, Photos of the figma Racing Miku. 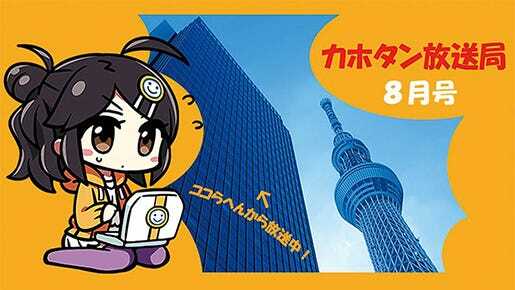 * CharaHobby Market is on Sunday only. * Children under 10 are free. As one final note, the GSC President Aki-san has been nominated to do the ALS Ice Bucket Challenge! I am sure I will add a video for all to enjoy at a later stage!